Nicola running on her birthday! Grace McElhiney correctly guessed that Island Alpaca "Nightengale" would be the first alpaca this year to give birth out of nineteen pregnant females, and was the closest to predict the actual arrival time. 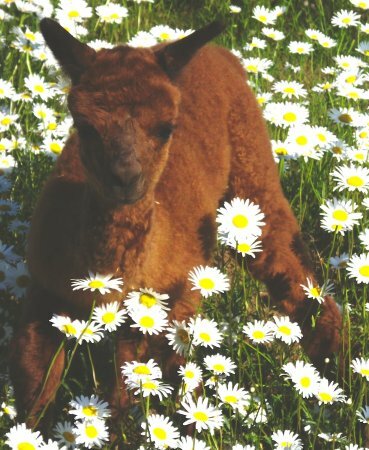 The cria was given the name Nicola and is one loveable little girl. She was up on her feet within the hour and enjoys to run around in the sun. She's a fast girl and has a sweet, gentle personality. See Nicola running and all the other alpacas on the farm here!